3.1 We came to Yiwu first time in 2005. We have a dollar store in Canada. The ex-agent is good; we cooperate with them for 5 years. We tried one 40ft container with Yiwu Amanda Intel Group in Mar. 2010. Amanda Company is better because they charge us 2% to 3% and the ex-agent charges us 10%. We import 6 to 8 x 40ft HQ every year. Amanda is our ONLY one agent in Yiwu now. I introduced my friend Nick who does belts business came to Amanda’s office in Oct. 2010. 3.2 There are too many export agents in Yiwu. But I want to say, it is too difficult to find a professional agent. I have changed 4 agents. Why I changed? The 1st ex-agent changes my items to similar items (low quality and low price). The 2nd ex-agent always delays the delivery time and answers my email after 5 to 7 days. The 3rd ex-agent does not know what I mean every time. I want to say, their English is too poor. 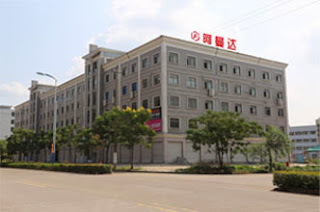 Amanda Group is my 4th agent in Yiwu. They are much better, reliable and professional. 3.3 Product Quality is most important for us. Amanda team does inspection and quality control very strictly. They open each carton one by one and give me QC report. They help us add inner box, print colored catalogue. They are the best agent in Yiwu.